Shure UHF-R Wireless Microphone Systems master the high pressure and extreme conditions of large-scale touring or installations environments while delivering uncompromising sound. Rock-solid engineering and unparalleled RF performance provide sound professionals with all the features and flexibility they need to tightly control up to 160 systems for the most elaborate productions. 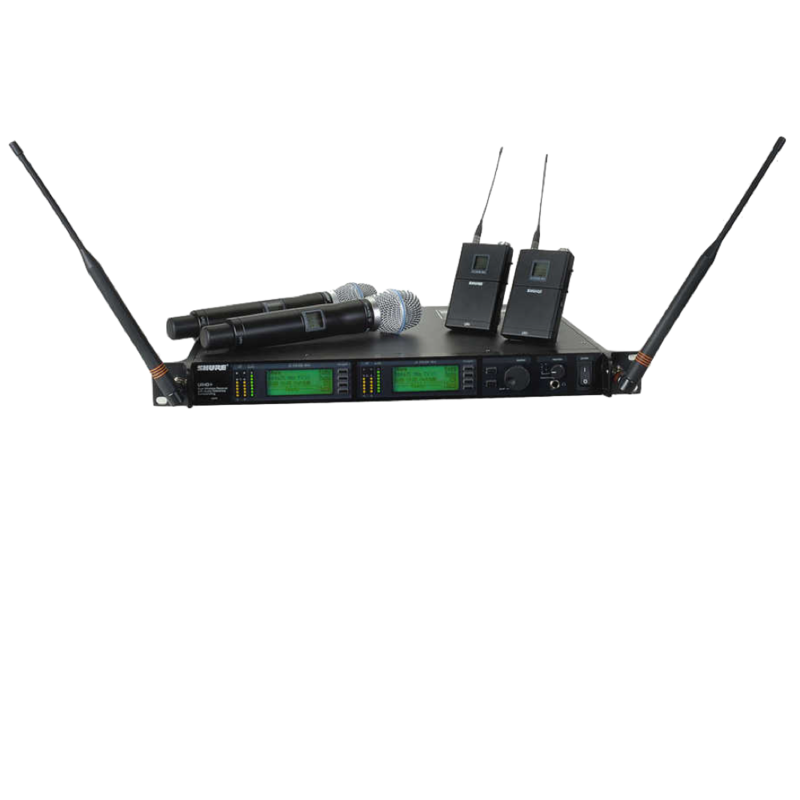 UHF-R incorporates automatic frequency selection, transmitter sync and smart menu-driven system functionality for fast, intuitive setup. Up to 2400 selectable frequencies across an ultra-wide 60 MHz bandwidth provide superior capability to respond to unpredictable RF conditions. Featuring Shure’s Advanced Track Tuning Filtering Technology, UHF-R delivers up to 40* simultaneously compatible systems per band without audio degradation or interference.